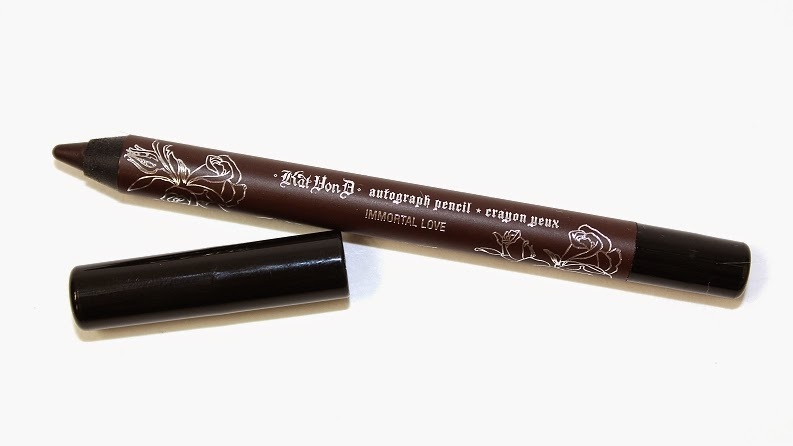 Kat Von D Autograph Liner Set retails for $32 USD ($38 CAD) and features eight pencil liners (0.028 oz.). 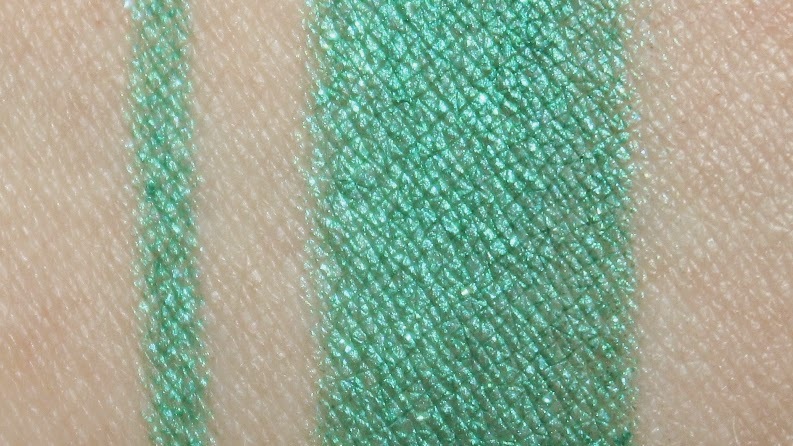 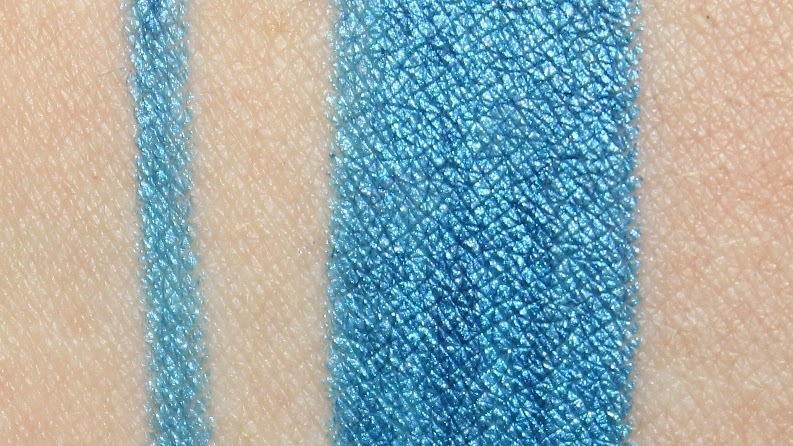 The set itself is limited-edition, but all of the shades are part of the permanent range. 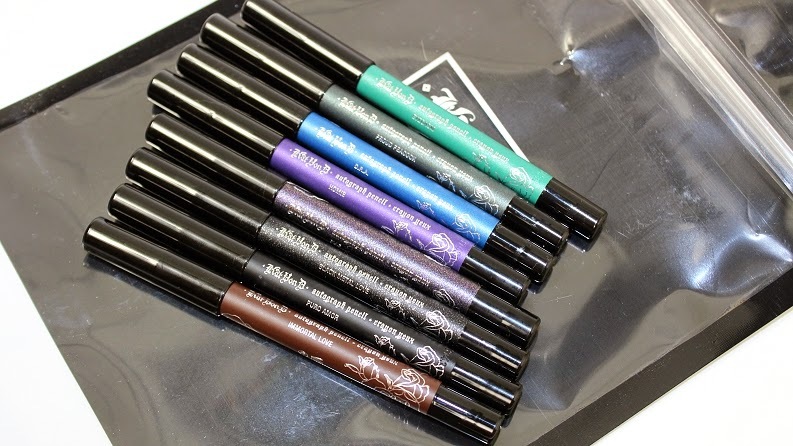 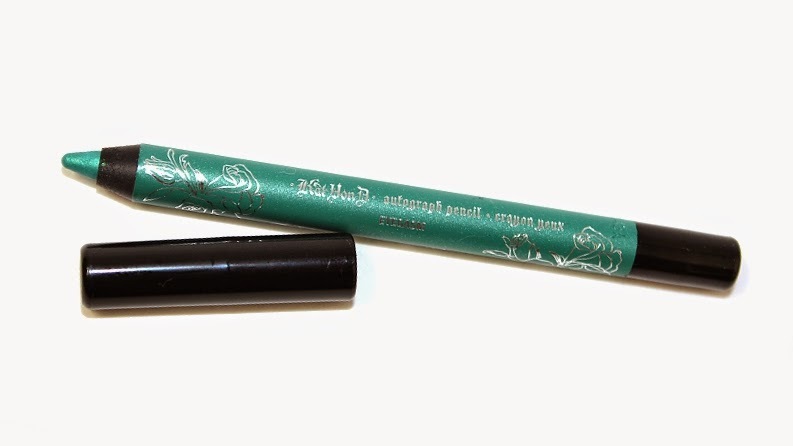 It is said to be "an eight-piece, limited-edition set of mini waterproof eyeliners in an array of versatile shades." 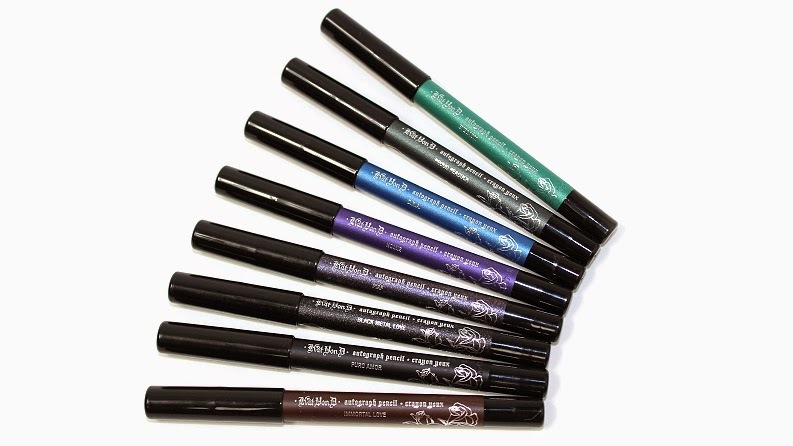 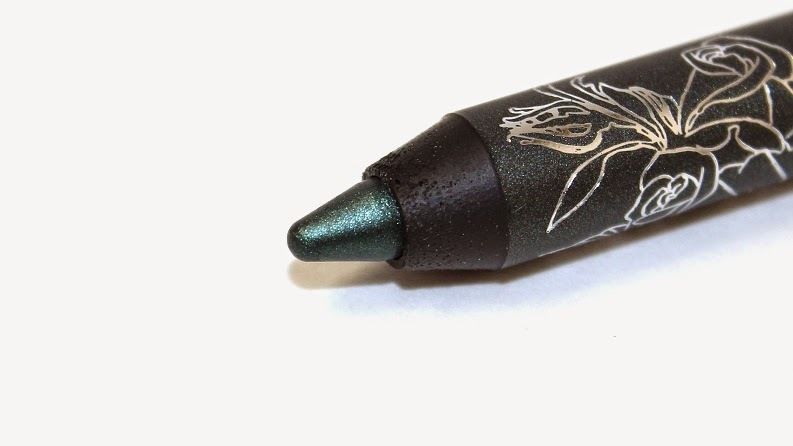 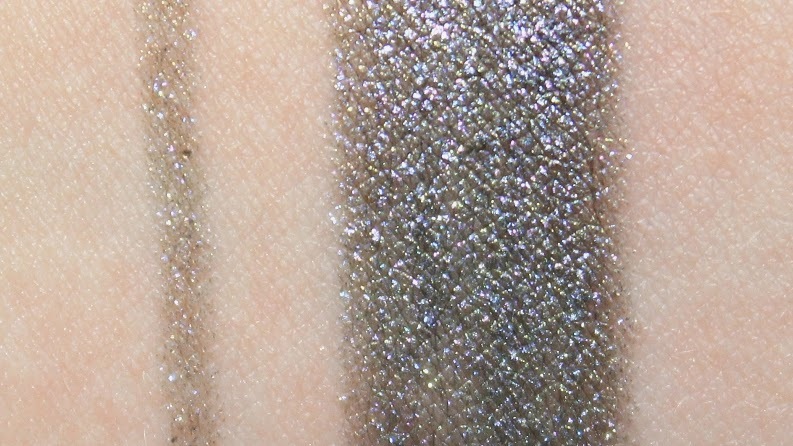 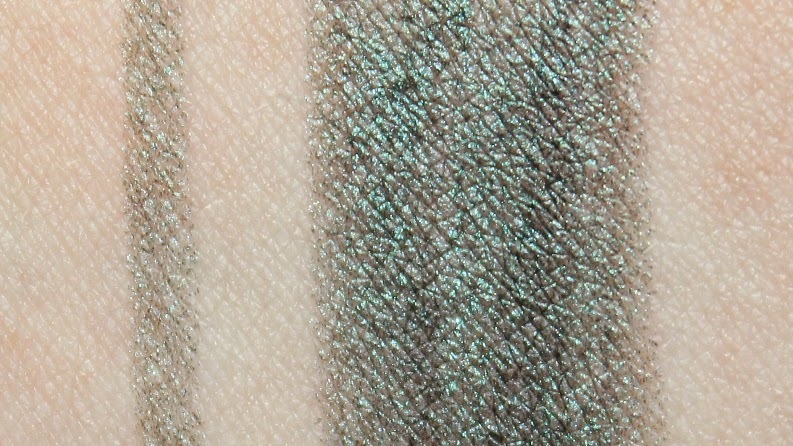 "Sweep on ultra-bold, pigment-packed eye looks with these long-lasting eyeliners. 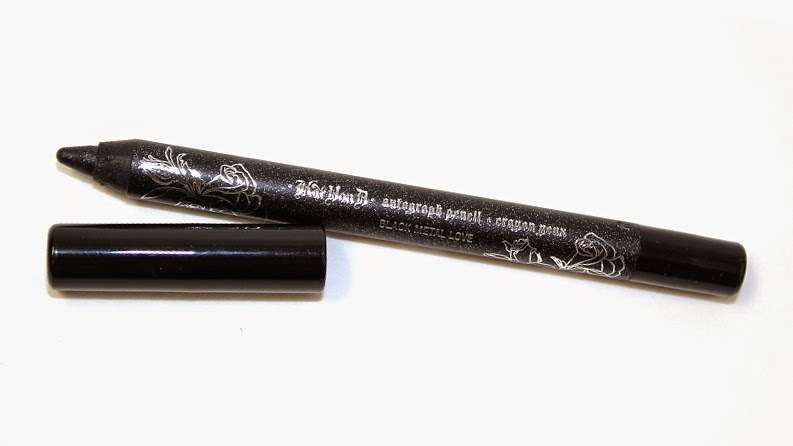 Formulated with moisturizing, natural antioxidants, Autograph Liners are infused with jojoba to nourish the delicate skin around eyes, vitamins E and C to protect against signs of aging, and cottonseed oil for that extra touch of conditioning power. 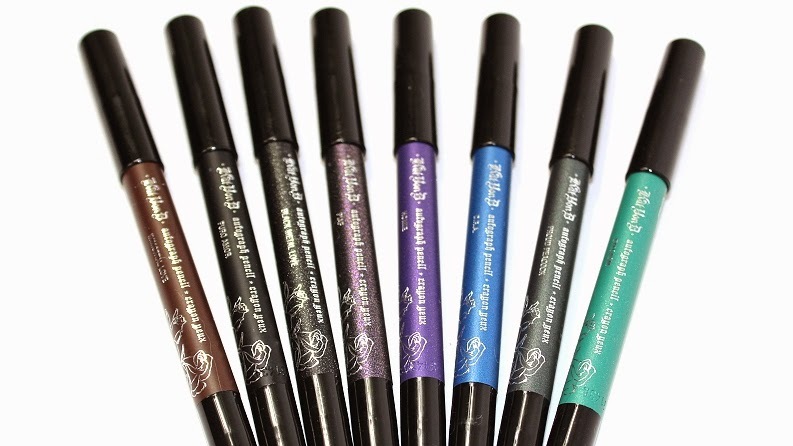 These mini Waterproof Autograph Pencils are velvety smooth, and glide along the lash line for effortless application that's layerable and easily blendable—leaving a vibrant, run-resistant finish that will last for up to eight hours. 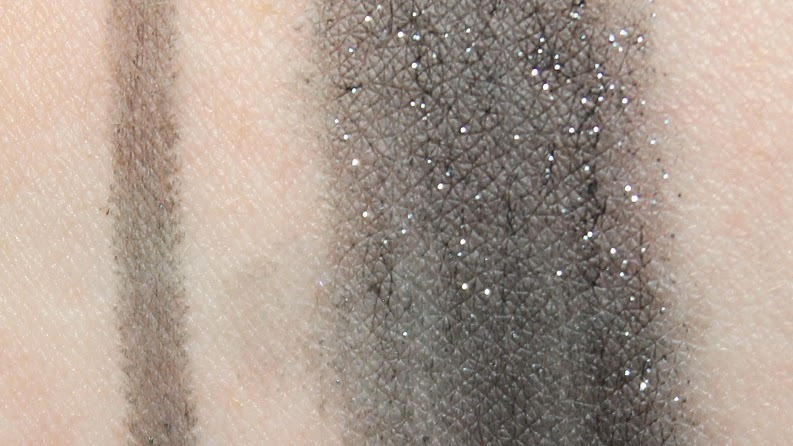 From natural earth tones to vibrant brights, these stunning shades can be mixed and matched to create completely unique eye looks. 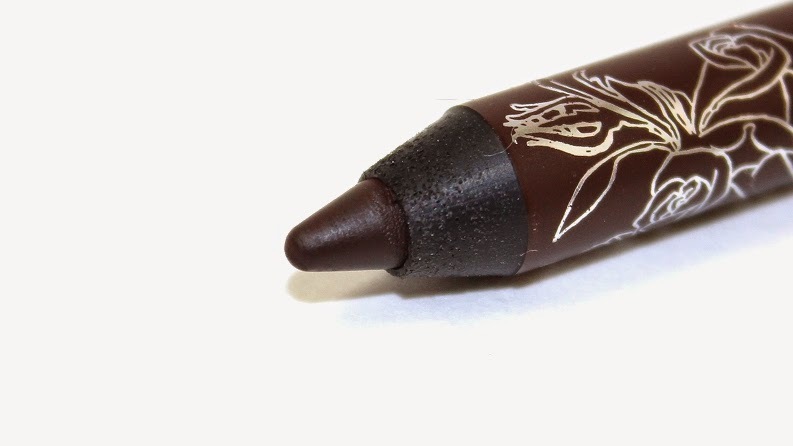 Packed with natural hydrating ingredients, these ultra-portable eye pencils are perfect for on-the-go application." The Autograph Pencils retail for $10 USD ($13 CAD) and contain 0.028 oz. of product. 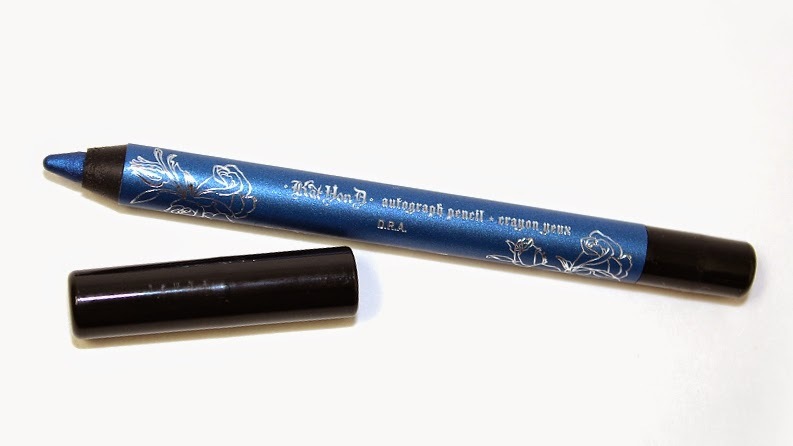 The pencils in this set are the same size, making this an $80 USD ($104 CAD) value – which is a steal. 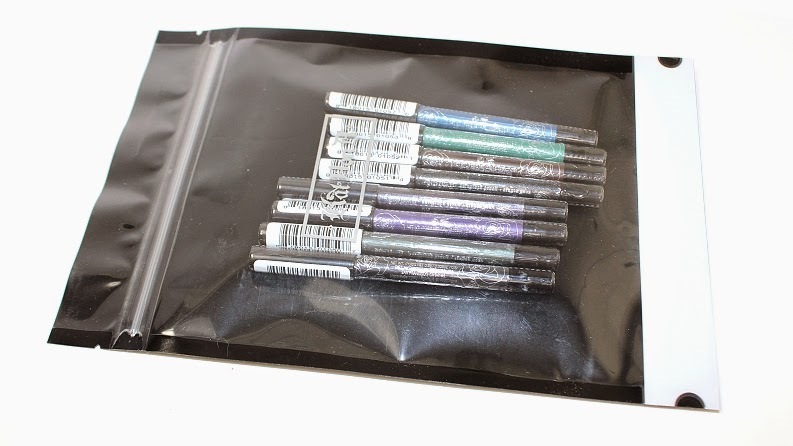 All eight pencils have a waxy texture, making the product glide-on easily without tugging or pulling at the skin. 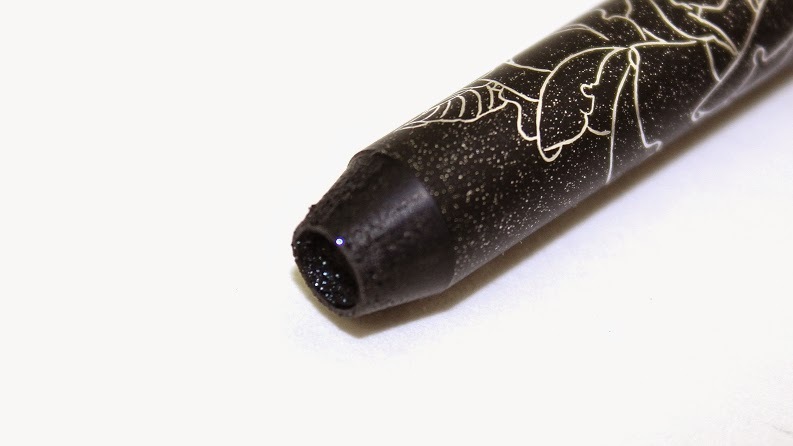 But while they are waxy, I did notice they broke easily and not in the soft, creamy pencil kind of way. Two of the eight pencils broke during swatching, like the product had started to dried out. 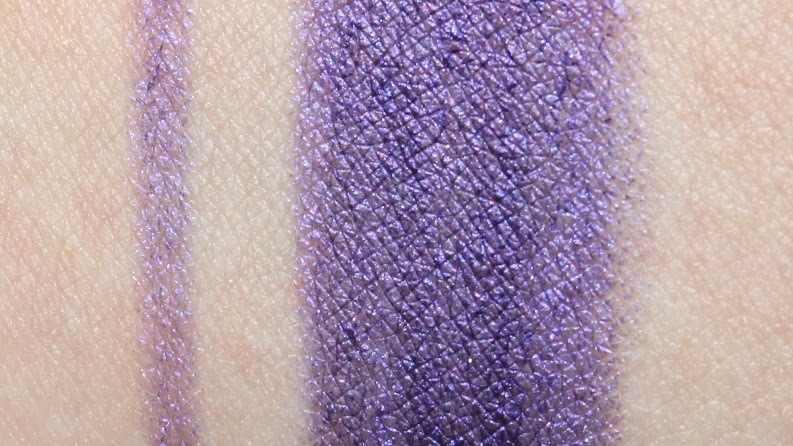 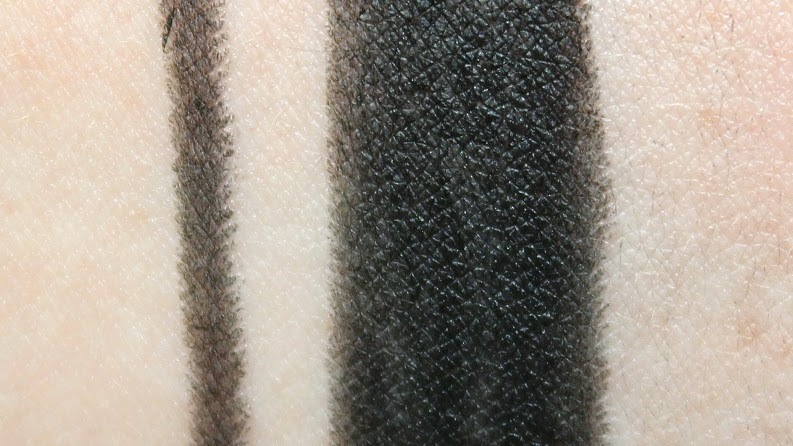 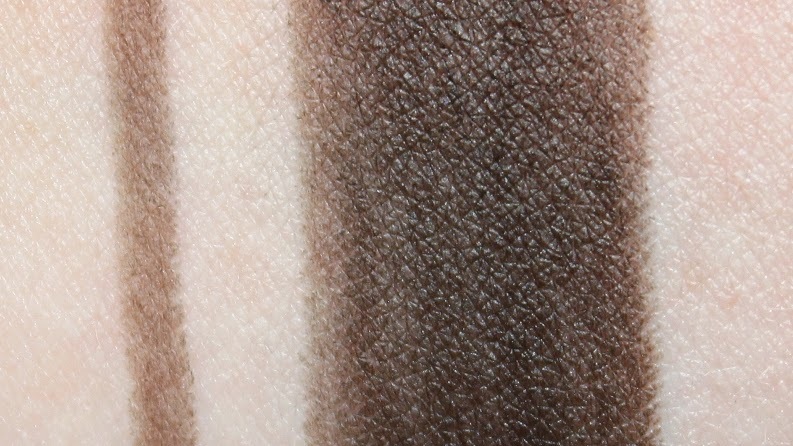 They do require quite a bit of building for a more opaque coverage, but the majority still applied uneven in areas regardless to how much you layered the product. 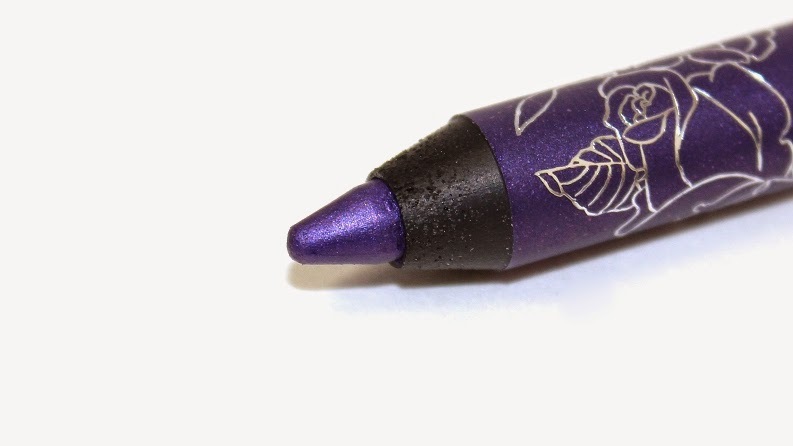 The pencils do last well and they hold up against humidity without budging, bleeding or excessive fading. Overall, the quality and performance of these pencils was disappointing. 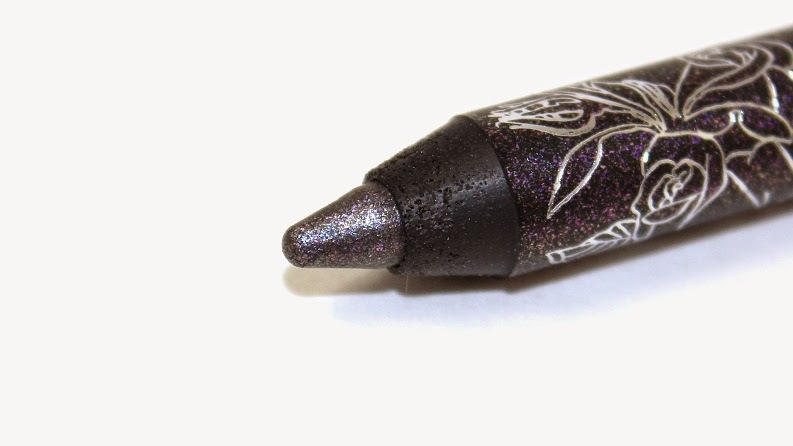 Like I said, a couple of the pencils broke during testing and the waxy texture made it difficult to layer the product since it would slide around rather than build onto itself. 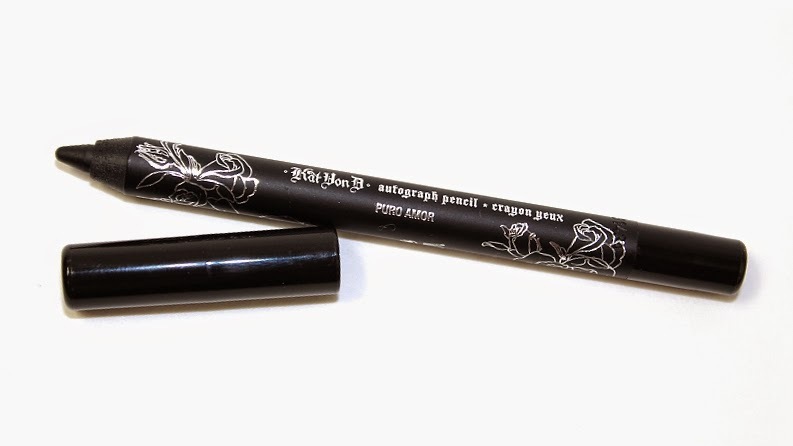 The Kat Von D Autograph Pencils are definitely a hit or miss judging by the majority of consumers experiences. 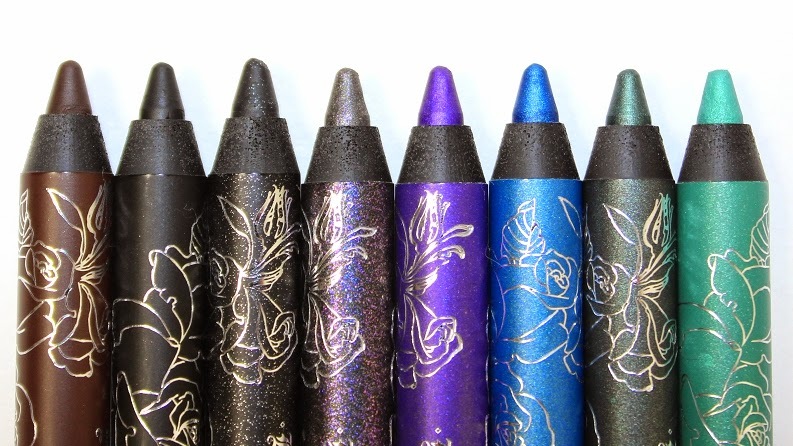 If this set is something you'd be interested in, the value is definitely there but keep in mind, there are a lot more affordable and better quality eye pencils out there. 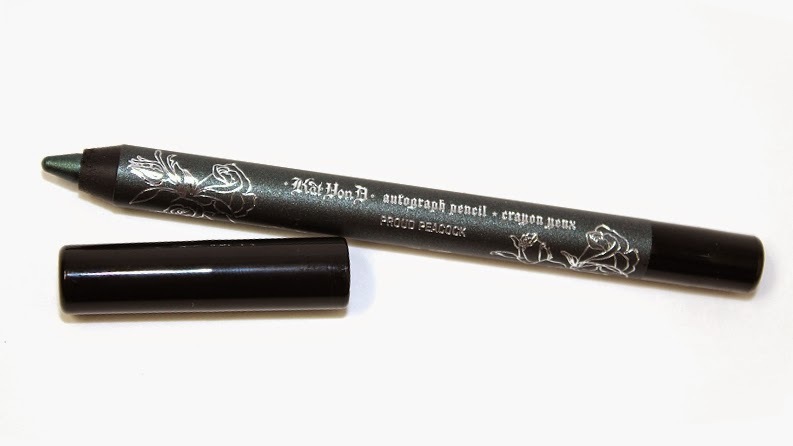 Kat Von D Autograph Pencil in D.R.A.